Despite Apple actively recruiting eagerly for full time jobs to help improve their map situation, which could some seriously negative feedback when it replaced Google Maps, it is also trying to enlist the support of its userbase with an invitation in iOS 7. 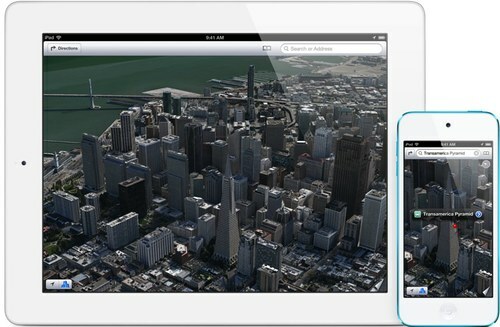 What better way to improve the data of your maps than to pull data from your 400 million iOS users? That’s exactly what Apple are trying to do with an opt-in invitation in iOS 7 to ‘Help Improve Maps’. 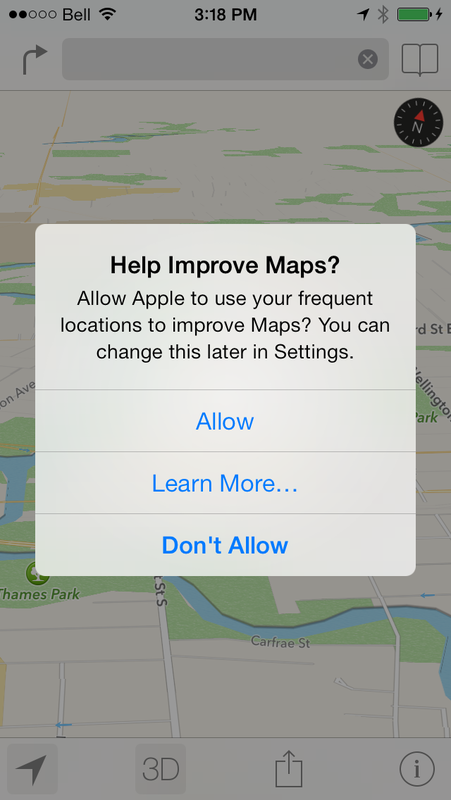 The ‘Help Improve Maps’ option is tied into the Frequent Locations feature which was introduced in iOS 7. Frequent Locations remembers places you’ve been, similar to the history of a web browser. These locations can then be attached to Contacts, like bookmarks. Users who choose to activate this feature will have their Frequent Locations data linked to their iCloud account so the system can automatically calculate the distance to the various locations as users select them. It is this data that Apple uses, together with various bits of anonymous data used to verify the accuracy of their GPS algorithm and software, that will be used to improve the accuracy and detail of their maps. Not only this, but Apple are currently recruiting dozens of positions relating to Map technology, showing they are seriously pushing for improvement in the area. It seems Apple is seriously pushing to improve the user experience of the Maps application since ditching the superior Google Maps in favour of its own software, but is it too little too late?